identified as Sergeant Samuel Tembo aged 47 of Kasanda Police Camp in Kabwe was allegedly shot dead by his close friend identified as Simon Mbulo of Makululu Compound using a revolver, police Spokesperson Mwata Katongo has confirmed. Katongo said the incidence happened in the early hours of today 19th June, 2018 at about 01:40 hours at a funeral house in Kabwe’s Kasanda Police Camp. Brief facts are that the victim who was in company of other friends at the funeral house went to the suspect’s motor vehicle where he found him sleeping and tried to work him up by knocking on the door of the motor vehicle. It was at this point that Mbulo fired two shots at the victim through the window and he sustained bullet wounds. He was rushed to the Kabwe General Hospital where he was pronounced dead. The suspect has been arrested and the pistol recovered while the body of the deceased is in Kabwe General Hospital mortuary. 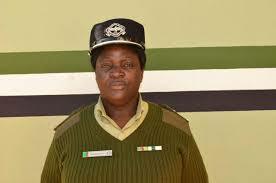 Tembo was a member of the police anti robbery squad.